It’s not hard to figure out why this CD is called Fun and Games. Songs like “Spin” and “Macaroni & Cheese” will have both kids and adults laughing out loud as they recognize themselves in the lyrics. “Hopscotch” jumps along at a high energy pace, while “Sally Salamander” weaves a tale that keeps kids guessing about what will happen next. And to close the album, "Everything is Alright" features the beautifully comforting voice of Margot Timmins of the Cowboy Junkies. But the real story behind the “Fun and Games” name is the attitude; this CD is so positive, you can’t help but feel good listening to it. 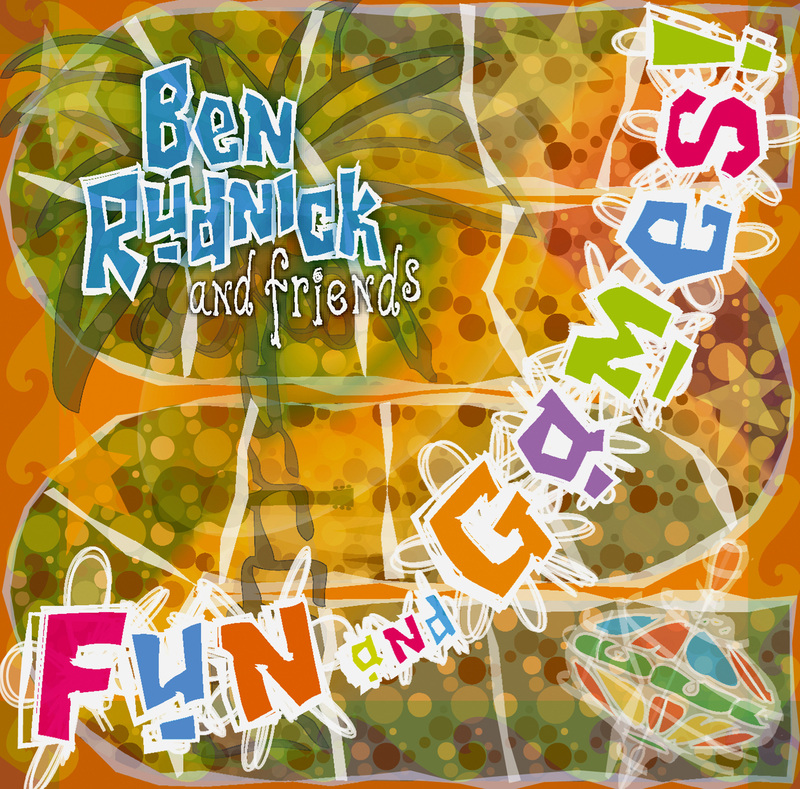 This was Ben Rudnick & Friends' second album and was released in 2002. 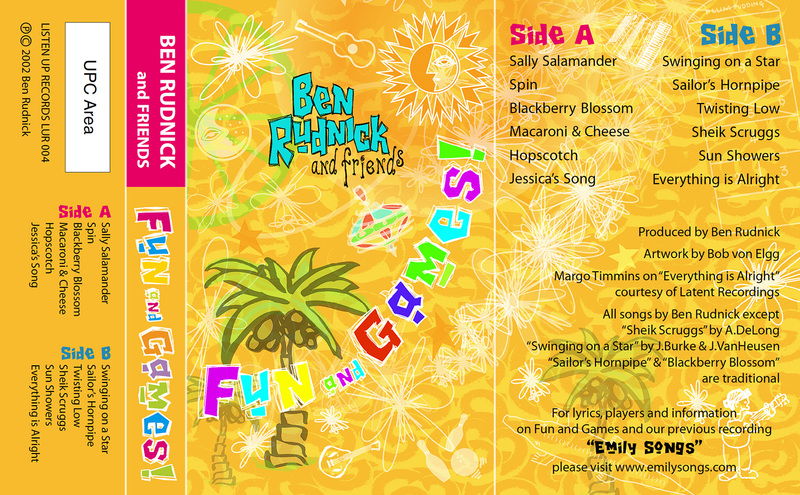 Ahhhh... a blast from the past... Fun and Games CASSETTE COVER!